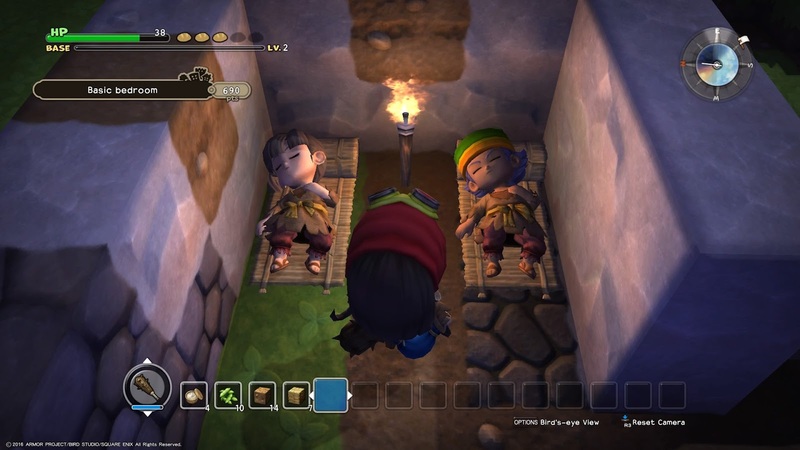 I think we all chalked Dragon Quest Builders up as a fairly cynical project by Square Enix, where it looked at the success of Minecraft and then decided to try and get a piece of that pie. Before actually sitting down to play the game, that is exactly what it seems to be, with its procedurally generated, blocky, world, as well as its focus on gathering resources and mixing raw ingredients to “craft” a wide range of items. Related reading: Another experimental Dragon Quest game is when Koei Tecmo applied the Warriors formula to it. 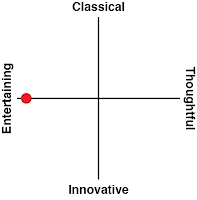 Matt's full review. That initial perception, however, breaks down almost as soon as you start actually playing Dragon Quest Builders. Inspired by Minecraft it might be, but it is not a slave to it. Draped in the finery of the entertaining and amusing Dragon Quest fantasy that it is, Builders has a soul and character all to itself, and is far more accessible and palatable to those who might have found Minecraft to be a little time consuming or difficult to get into. 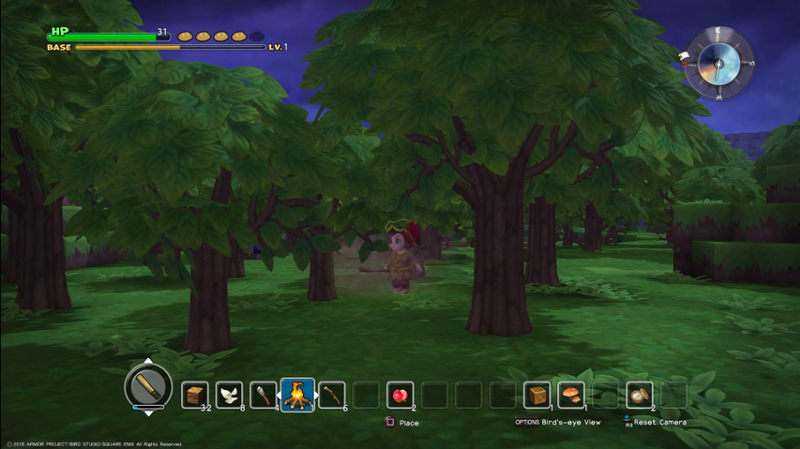 “Remember, you are not a hero,” is the stern warning that Dragon Quest Builders provides its players as they get going. It’s a pertinent warning, because in this series players are very accustomed to being the hero. Dragon Quest is a JRPG series in which players are expected to tool up and then wade through hordes of enemy minions. Trying to play like that in Builders is a quick path to failure. For a start, there are no experience levels, and if an enemy is too difficult, running around killing a bunch of weaker enemies to ‘level up’, as you would in other Dragon Quest games, won’t do you much good. Instead, in this one, strength comes from building stuff. At first, there’s little more than a run-down bit of land that you’re told will be the site of a new city that you’re expected to found, and then protect from monsters. At first all you’ll be able to do is build a simple room, bedroll, and workshop. But it’s enough to get a start, and get a couple of people to join your fledgling city. They’ll give your “hero” quests to complete and objects to find, as well as teaching you ever-increasing building techniques, as well as strategies for protecting the city from the escalating attacks by monsters. From there you’ll also start to be able to create more powerful weapons and armour, and this is important because while your character doesn’t get experience levels and the like, the enemies do become more powerful the further that you explore. The only way to survive is to build better equipment. 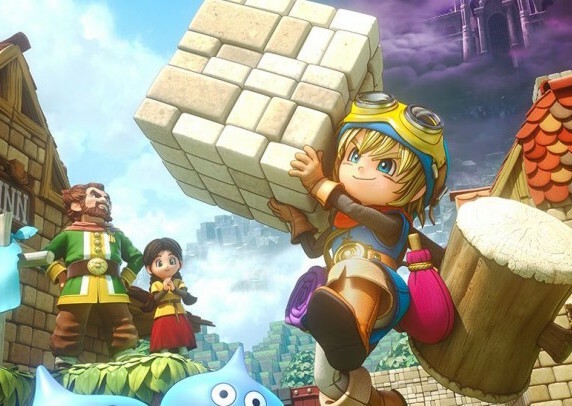 Oddly enough, while the crafting and Minecraft-like nature of Dragon Quest Builders does not sound like a JRPG formula, that’s exactly what it is. Your character becomes more powerful in a way that is mechanically similar to what you see in “normal” Dragon Quest titles. The town has an experience level, and as it levels up your hero gains access to new skills, while the resources that you earn buys you better equipment. Sure, this is abstraction at work, but those are the same systems that provide the power curve to the heroes in the other Dragon Quest games. There’s still grinding, too. Yes, it’s for materials rather than experience points, but, again, the result is the same; you escalate in power as a direct consequence of that grinding. Even the basic narrative structure of Dragon Quest Builders follows closely with the series canon. In my review of Dragon Quest VII I noted that the game offered a fairly thin over-arching plot, simple protagonists to the point of them being uninteresting, and the bulk of the narrative lifting being done by the ensemble of hapless NPCs that keep a steady flow of quests coming. That’s how it is with Builders, too. The overarching plot is a riff on the original Dragon Quest, playing on a hypothetical scenario where the hero of that game and its boss, Dracolord, entering a power-sharing agreement to the general doom of the planet. You play as another nameless soul whose job it is to fight back against Dracolord, only this time it’s through your hero’s building, rather than military, capabilities. Simple as this plot is, it’s an appealing throwback to the series roots, and entirely thematically appropriate. The original Dragon Quest was a game cobbled together with pixels; little coloured squares arranged in such a way as to appear as the characters and environments. In Builders your hero will be cobbling together objects from the blocks that he or she acquires around the world. With Dragon Quest celebrating its 30th anniversary this year I can think of no finer love letter and homage to the series roots than for a game to turn the aesthetics of the original game into a gameplay feature. Your character – who is mute – spends most of their time through the game following the directions of the NPCs; again, much like the series has always done. This additional direction makes the game far more accessible to a wider audience that Minecraft, which effectively drops you in the world and leaves you to your own devices. I know I’m not the only one that prefers to have structure to his games, so I immediately found myself getting along better with Builders than I ever did Minecraft. Soon enough I was in a rhythm, and because progress happens quite quickly, it was the kind of addictive rhythm where I would start playing in the evening, and it would hit midnight before I even realised what time it was. 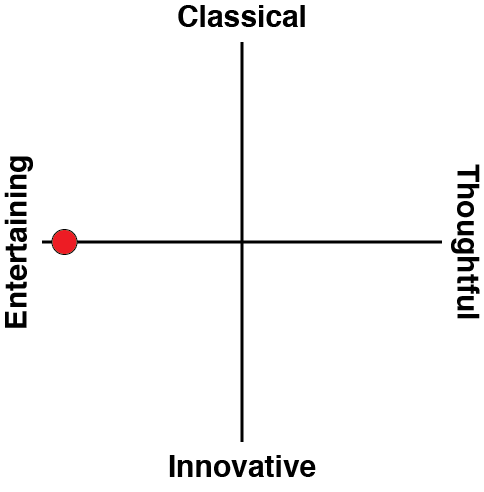 Coupled with the sublime use of Dragon Quest music, and the adorable enemy aesthetic, instantly recognisable to anyone who has played a Dragon Quest game before, and it doesn’t take long for the game to go from being a quirky oddity to something genuine in the Dragon Quest universe. Related reading: Matt's experience of the Dragon Quest 30th Anniversary exhibition in Japan. So, while I certainly respect Minecraft, I prefer Dragon Quest Builders. It doesn’t offer the sheer depth that Minecraft does, of course, and there will be no “educational edition” of the game being sold into schools, as there is with Minecraft. What it is, however, is a down-to-earth and genuinely entertaining little game that shares far, far more in common with its JRPG roots than even the game itself wants to admit. And as a long-suffering Dragon Quest fan, that makes Builders special indeed.